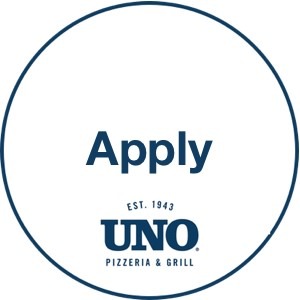 Earn Great Income Working at our Lake Delton, WI UNO's. We are Hiring: Servers, Bartenders, Hosts, Line Cooks, Prep Cooks, Dishwashers and Delivery Drivers for Our UNO Pizzeria Location. To connect with our HR team, select the "Apply" button below! The Uno story begins in Chicago in 1943 when Ike Sewell developed deep dish pizza and opened a new type of restaurant at the corner of Ohio & Wabash. It was here that Ike served a pizza unlike any that had been served before. Buttery 'out-of-this-world' crust that had a tall edge like a fruit pie. He created a recipe that combined authentic Italian spices and quality tomatoes with more cheese than people could believe and then baked it for nearly an hour. When people tasted it, they wanted more of the same and the lines have been forming ever since to get into the restaurant.